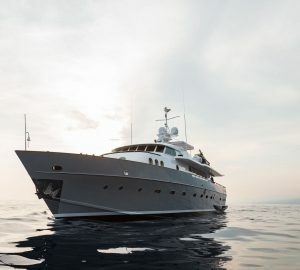 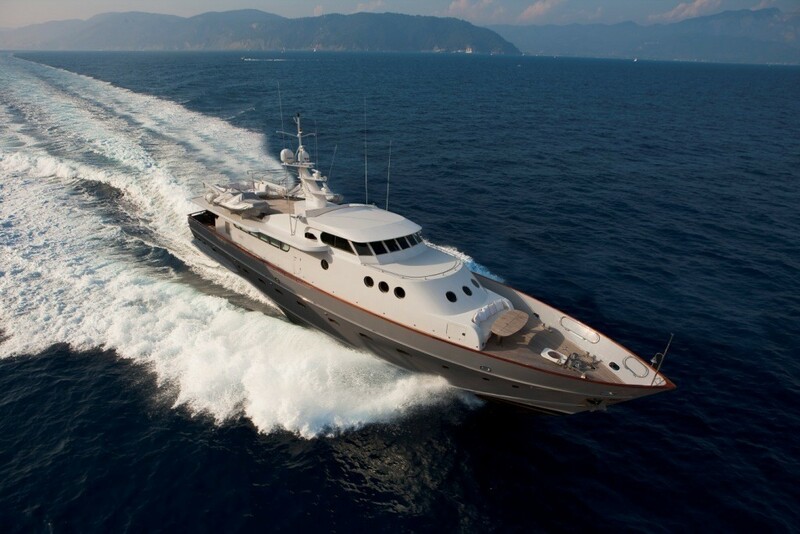 Built in 1970, motor yacht PAOLUCCI is a spectacular classic sporty vessel measuring 29.76m (97' 8”), refitted to modern-day luxury standards in 2009. 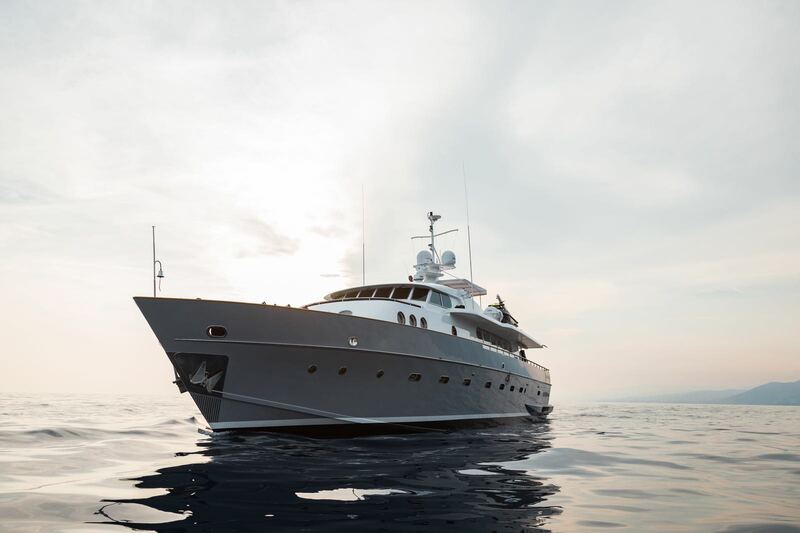 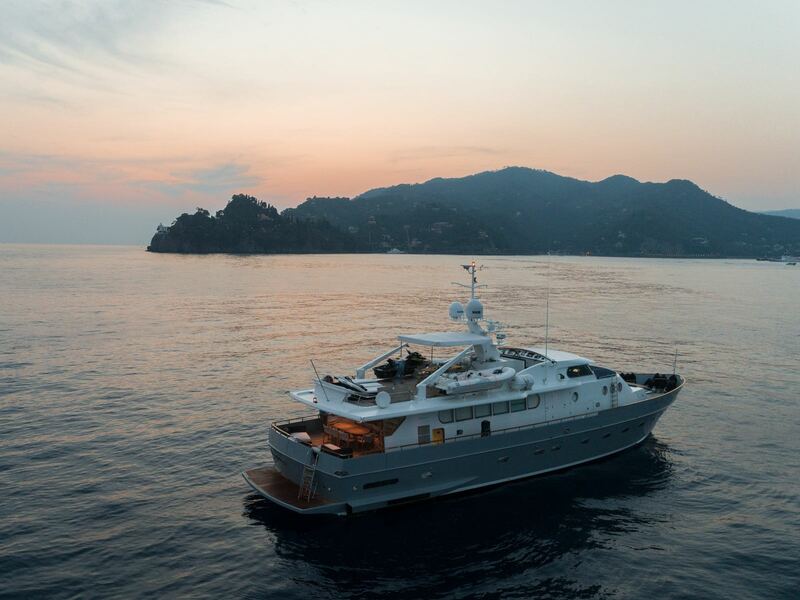 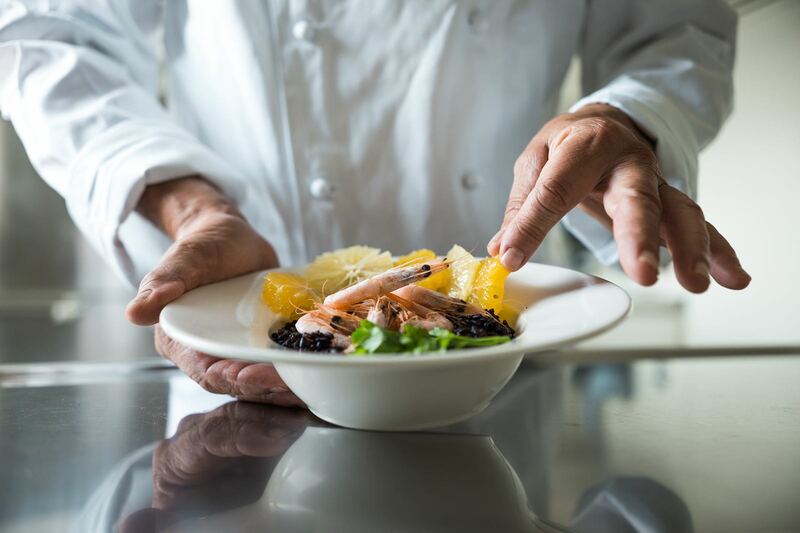 With interior design by Cantieri del Tevere Fiumicino, she is able to accommodate up to 10 guests in five staterooms, while she is serviced by a crew of 5. 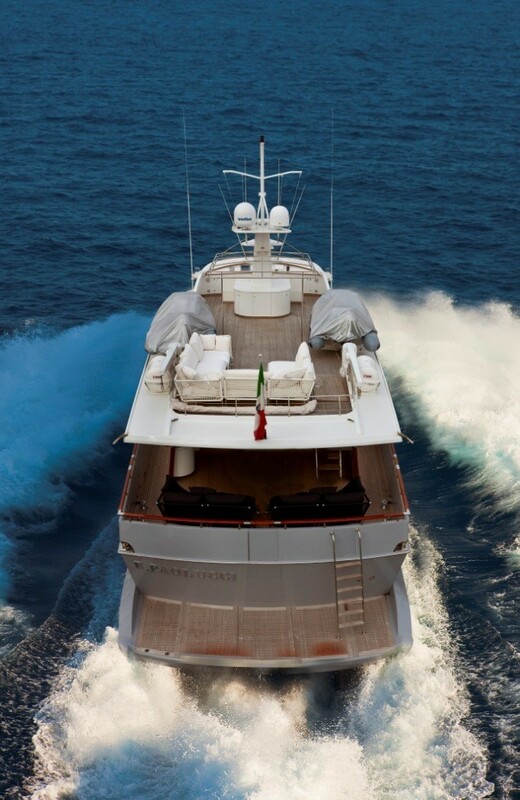 The aft section of M/Y PAOLUCCI is fitted with an alfresco dining table and comfortable seating beneath the flybridge overhang, allowing for shaded dining and outdoor living throughout the day. 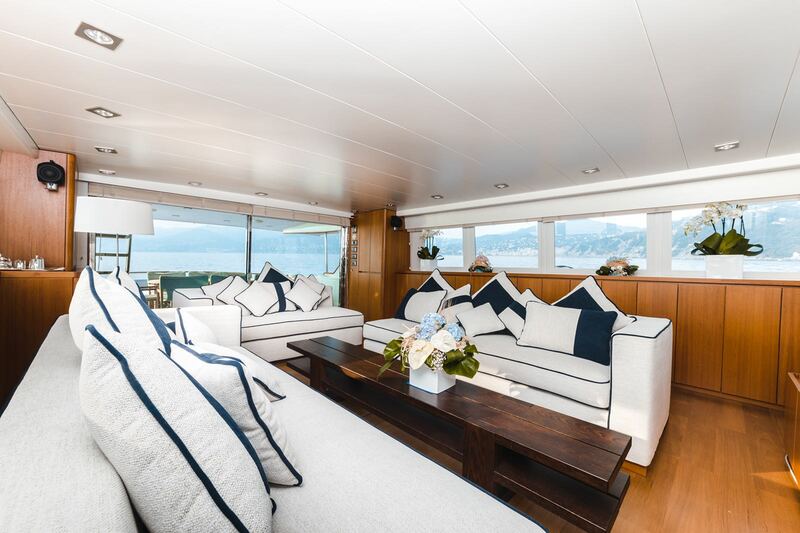 On the bow, guests have another raised table and sumptuous sofa for dining or spending time on hobbies out in the open. 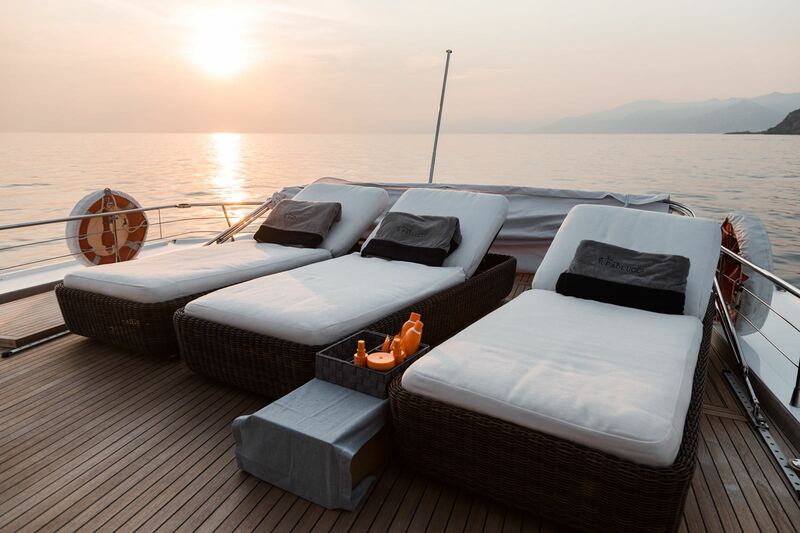 The tenders are stored on the flybridge and when clear, there is plenty of room for sunbathing. 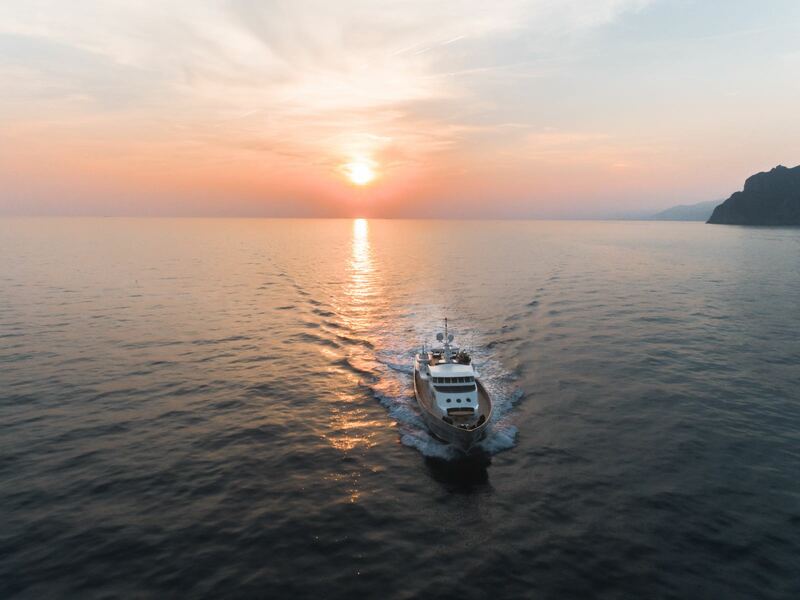 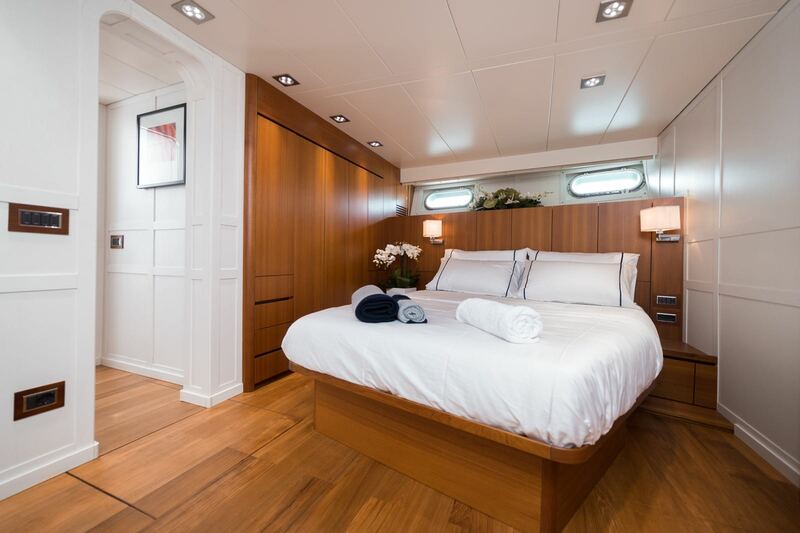 The lower deck contains the engine room, crew accommodation and large guest accommodation, which consists of a Master suite, three double cabins and two single cabins. 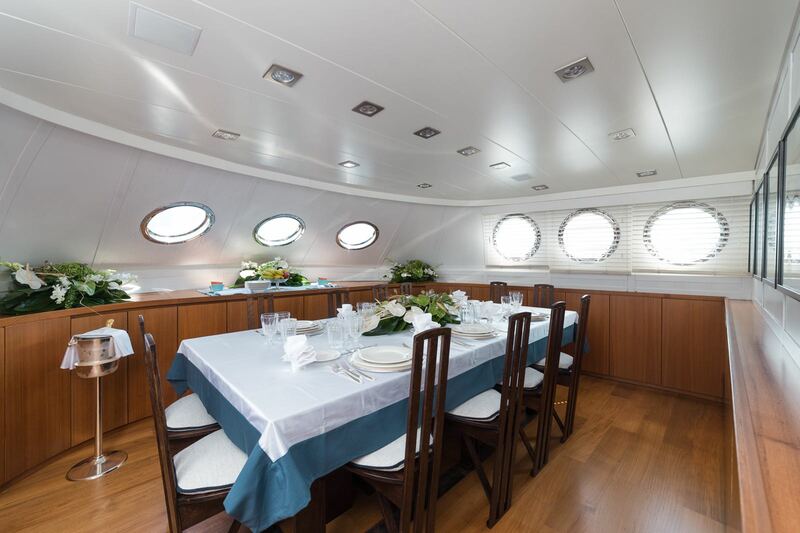 On the main deck, the Formal dining area is placed forward and an intimate dining environment for 10 is created by uncluttered surroundings with artwork along the aft wall and large portholes along the forward sides. 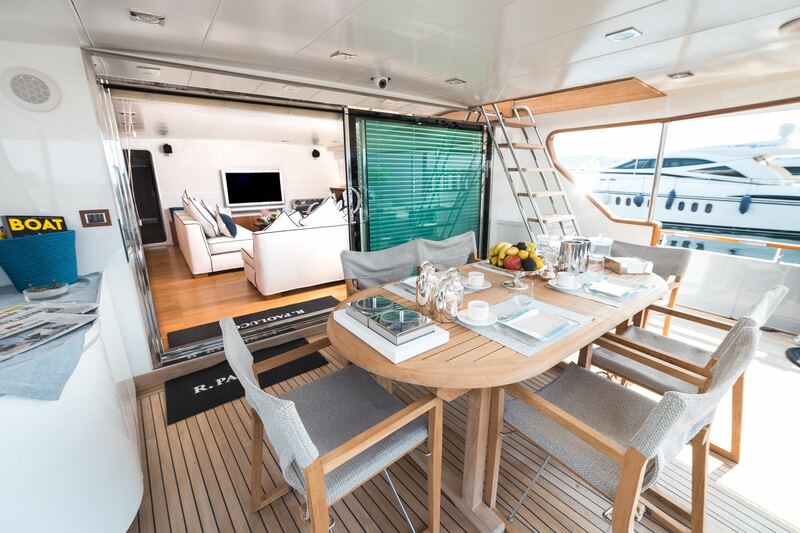 Behind a staircase leads up to the flybridge helm station, while the main salon features three large sofas and a coffee table placed in front of a widescreen TV. 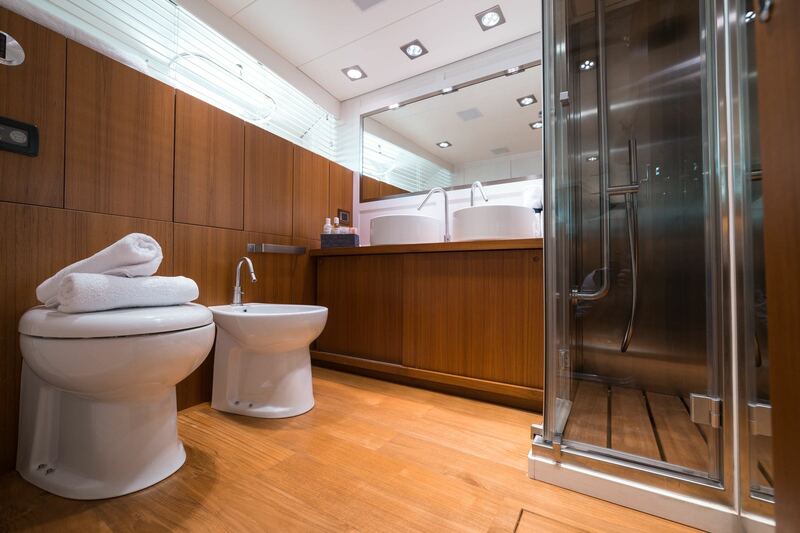 Windows run down the length of both walls for a naturally lit interior during the day, while at night there is an abundance of ceiling lights to keep the activities and conversation flowing. 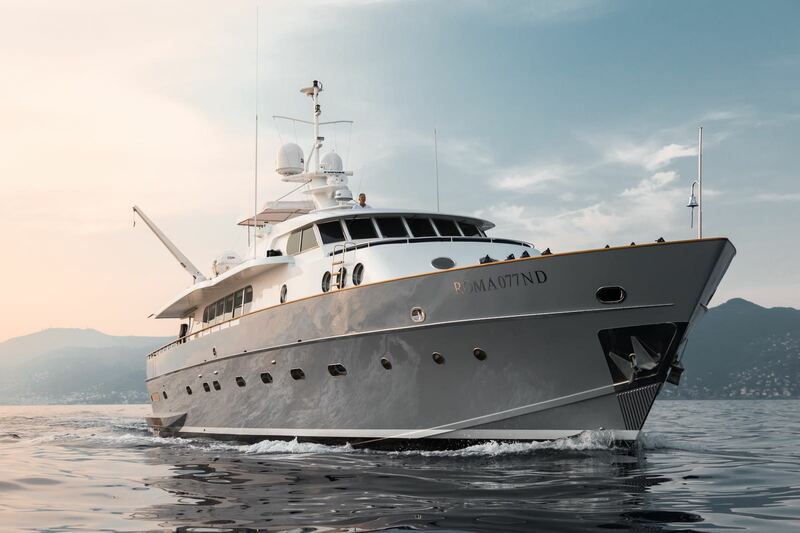 2 X MAN 1800 HP engines newly installed in 2018 provide a cruising speed of 22 knots, a top speed of 25 knots and a range of 375 nautical miles. 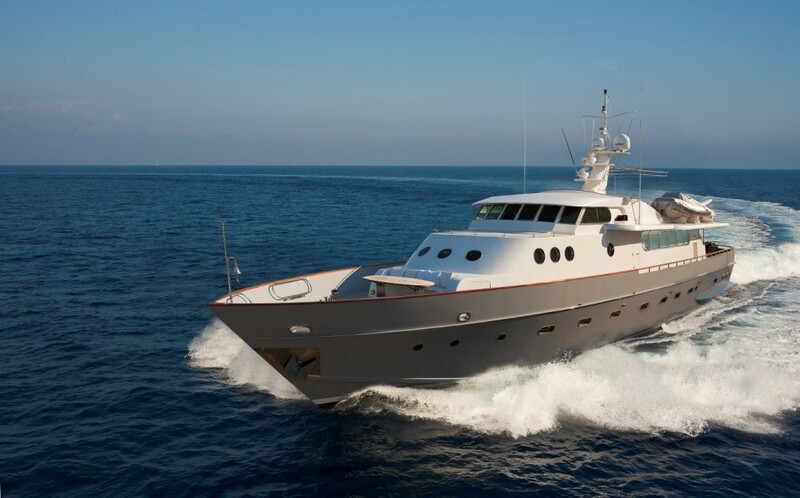 Five elegant double cabins offer accommodation for up to ten guests.